After having his feelings hurt, Morris the dog is missing. His owners search for him so they can resolve their differences. 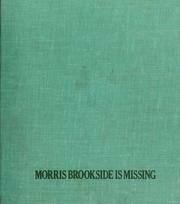 Sharmat, Marjorie Weinman, “Morris brookside is missing,” Children's Picture Book Database at Miami University, accessed April 18, 2019, https://dlp.lib.miamioh.edu/picturebook/items/show/6345.